A lower cost alternative to laser cutting. We undertake small to medium volume production work using sheet up-to 6mm thick and 2500mm wide. With the latest in Lantek CAD/CAM technology we are able nest both complex & assorted components onto as single sheet with great efficiency as well as high volumes of identical part. Examples of high volume work include brackets, electrical connectors, shims, engineering components and washers. Punching operations that can be carried out include blanking, punching and nibbling as well as dimpling and shaving. Our punch is capable of up to 350 hits per minute which allows for a high through put even on the most intensive nested sheet. We use high quality tooling from Mate Tooling Solutions and Wilson and have specialist tool grinders that mean we can easily maintain the best cutting edge for every job. We also hold a large tool library which our highly experienced engineers can use to select the most suitable tools for the job. 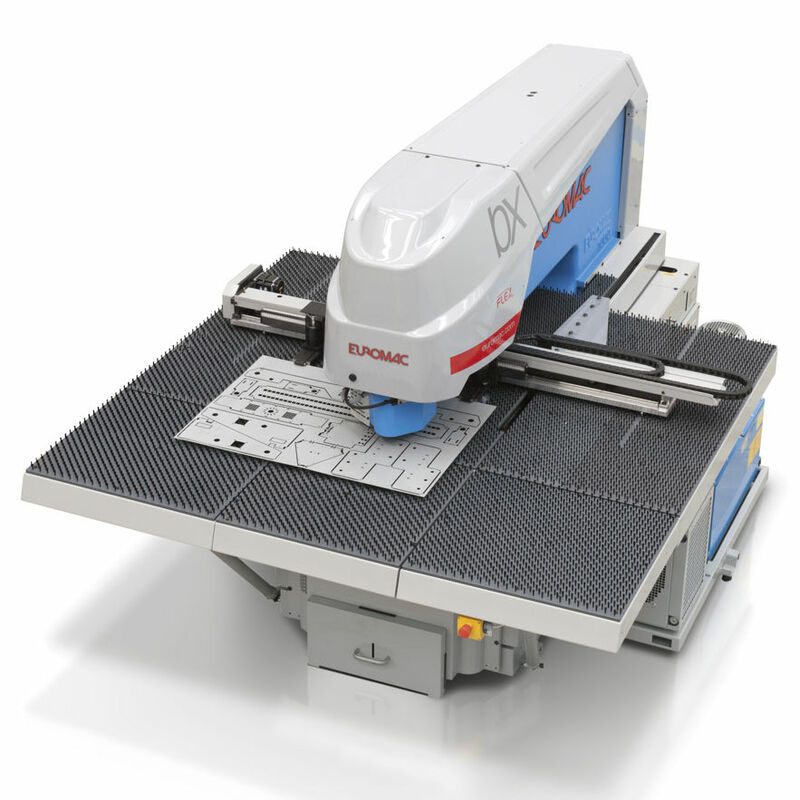 Large sheet based components such as enclosures and panels can be readily punched to exacting tolerances through either direct programming of the Fanuc control system or pre-programmed operations in Lantek CAD/CAM. Components can also be punched with holes and perforations up-to 100mmØ. High volume blanking of components such as washers, spacers, shims and general punched parts can be undertaken quickly and effeciently. Using customer containers/buckets we can supply high volume parts by weight ready for production management systems such as Kanban or direct line side supply.